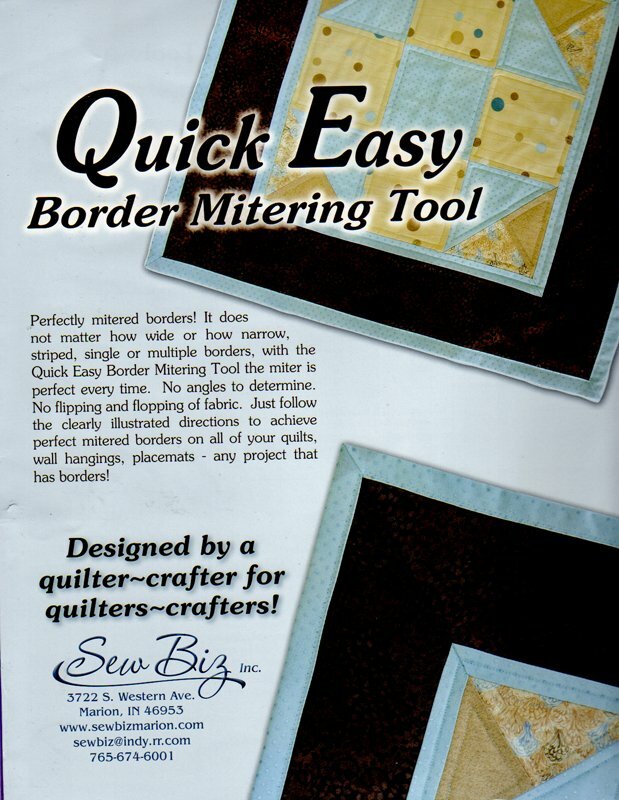 Quick Easy Border Mitering Tool from Sew Biz Inc.
New at The Village Quilter > Quick Easy Border Mitering Tool from Sew Biz Inc.
For perfectly mitered borders! It does not mattef how wide or how narrow, single or multiple borders, with the Quick Easy Border Mitering Tool the miter is perfect every time! Large size. Includes clearly illustrated directions.